With the decline in trade union membership , many employees find it increasingly difficult to understand where to get employment law advice and guidance about the options available to them when problems at work arise. Causes of problems at work are multifaceted. Employees may wish to verify the appropriateness of the procedures applied by the employer in a change management or redundancy programme or capability y or performance management procedure. 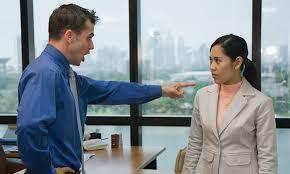 More sinister concerns can arise when an employee believes he/she is being intimidated or bullied at work or targeted detrimentally for reasons of discrimination. To make matters worse for those who suffer problems at work, often the affected employee can feel very isolated. The isolation manifests itself because often colleagues can be complicit for fear of their own position or not offer support due to embarrassment or simply not wishing to get involved. The employee also can self-isolate themselves as feelings of embarrassment and shame spiral into low self-esteem and in extreme cases depression. Employees who have problems at work are normally legally entitled to be accompanied at a meetings by a work colleague, accompanied colleagues are there to act as the employee’s companion. Being accompanied at a meeting can be useful at it helps the employee facing the situation feel less intimidated. The companion can also witness proceedings on behalf of the employee and dispassionately identify issues and ask questions on behalf of the employee. However, employees are often reluctant to ask colleagues to accompany them at hearings, in part due to embarrassment , but but also because they don’t wish to involve their colleagues and wish the matter to remain confidential. It is also worth noting that colleagues can refuse to act as a companion, and some colleagues do decline to act for a variety of reasons. Colleagues, also often have little or no experience of the legal rights of employees in the situation the employee is facing at work, while the employer is normally supported by an experienced HR practitioner. Employees facing issues at work normally have the right to invoke the grievance procedure and an appeal procedure. 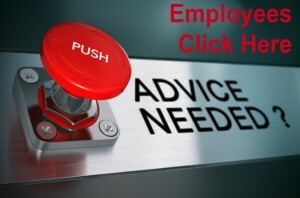 If the situation does escalate to an employment tribunal, any judge will view the employee’s case more positively if the employee has sought to resolve the areas of dispute using all options available prior to resorting to law. coaching support and advice to prepare for meetings. If you have a problem at work , you deserve justice call HR First on 01962 676167 or contact us here .